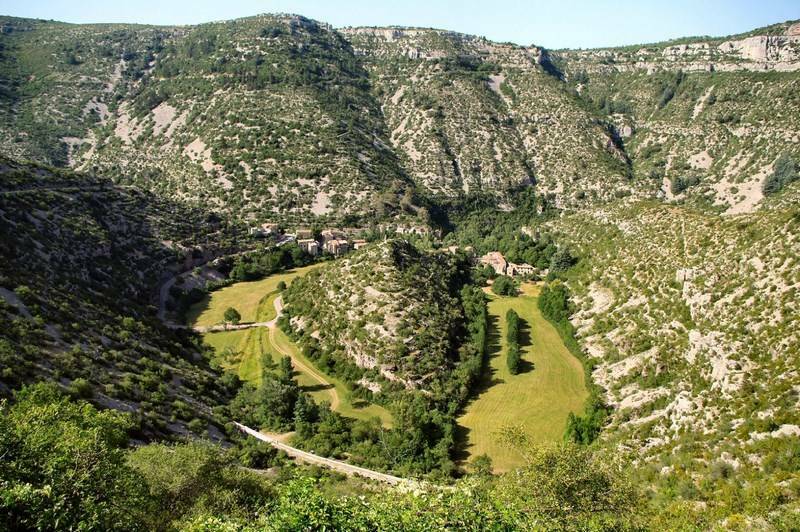 In the heart of the Causses and Cévennes UNESCO World Heritage area, the Cirque de Navacelles is an old meander that the Vis dug into the limestone of the Causse. Today, the waves of the river have abandoned it, so was born the Cirque de Navacelles. To fully discover it, you have to go down to the bottom of the Cirque at a depth of 300m. There, in an oasis of greenery, at the edge of the waterfall of the Vis, was established the village of Navacelles. A botanical trail accessible to all has been created. - at the Moulin de la Foux: the resurgence of the Vis spectacularly springs from underground.